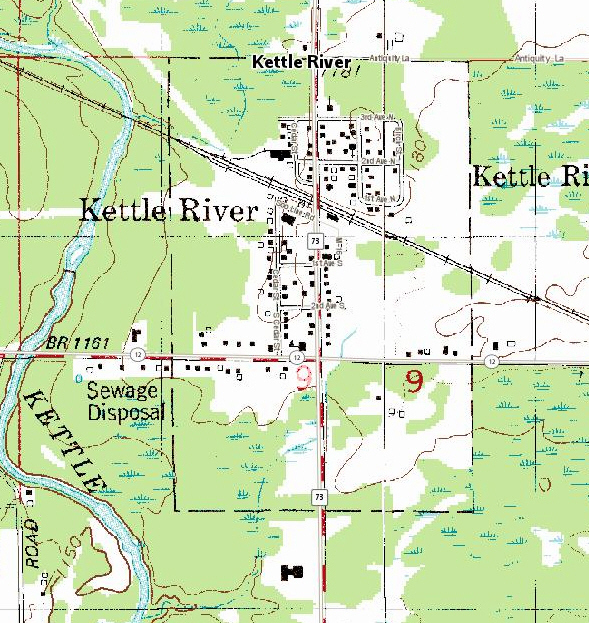 Do you have photos, historical accounts or other items pertaining to the Kettle River area? Would you like to share this historical information with the world? 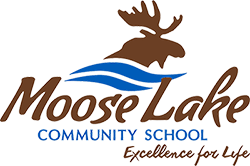 LakesnWoods.com would like to publish your Kettle River photos (current or historical) or historical accounts on this website. Original materials can be returned and your privacy will be respected. 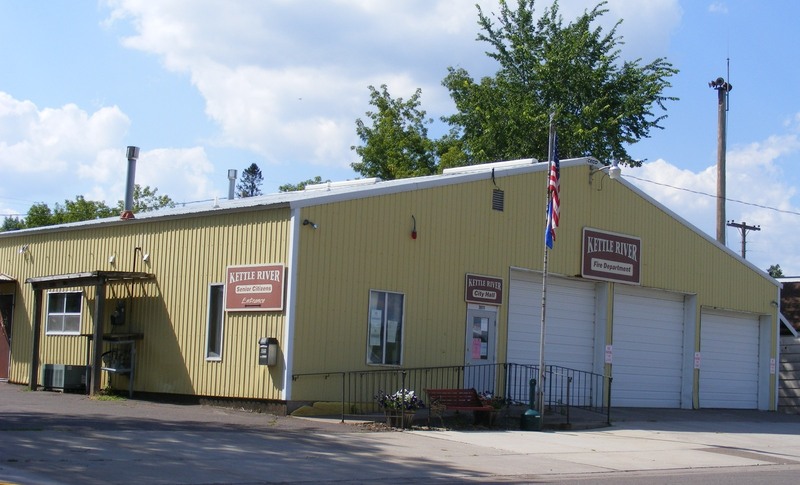 Kettle River is a city in Carlton County, Minnesota, United States, along the Kettle River for which it was named. 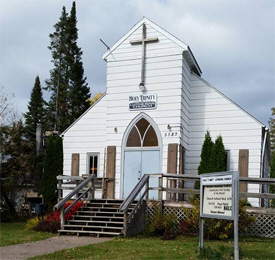 Minnesota State Highway 73 serves as a main arterial route in the community. 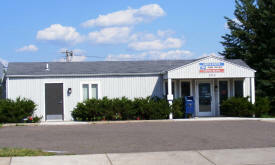 According to the United States Census Bureau, the city has a total area of 0.38 square miles (0.98km²), all of it land. 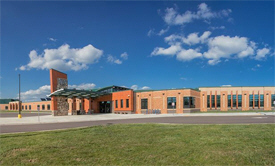 The elevation is 1,181 ft (360 m) above sea level. 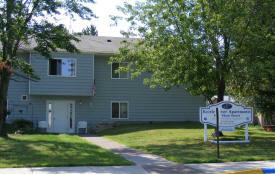 As of the census of 2010, there were 180 people, 79 households, and 52 families residing in the city. The population density was 473.7 inhabitants per square mile (182.9/km2). There were 96 housing units at an average density of 252.6 per square mile (97.5/km2). The racial makeup of the city was 92.2% White, 1.7% Native American, and 6.1% from two or more races. Hispanic or Latino of any race were 0.6% of the population. There were 79 households of which 34.2% had children under the age of 18 living with them, 41.8% were married couples living together, 16.5% had a female householder with no husband present, 7.6% had a male householder with no wife present, and 34.2% were non-families. 29.1% of all households were made up of individuals and 8.8% had someone living alone who was 65 years of age or older. The average household size was 2.28 and the average family size was 2.81. 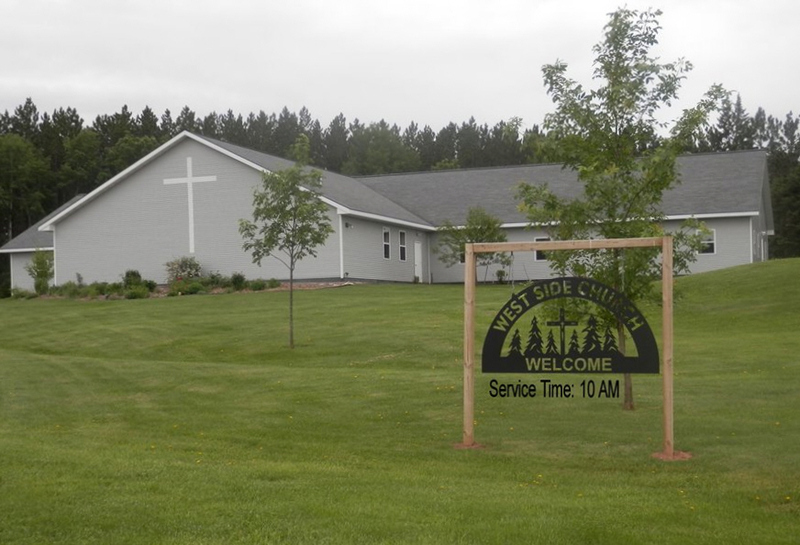 The median age in the city was 41 years. 24.4% of residents were under the age of 18; 2.9% were between the ages of 18 and 24; 29.4% were from 25 to 44; 25% were from 45 to 64; and 18.3% were 65 years of age or older. The gender makeup of the city was 48.9% male and 51.1% female. 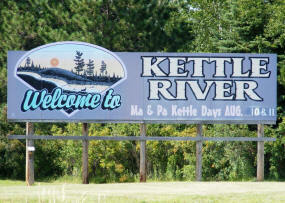 KETTLE RIVER, a city in Silver Township, section 9, is named for the river, a translation of its Ojibwe name, Akiko sibi. The original townsite plat was called Finland; the Finnish word Kattilajoki means "kettle river city." 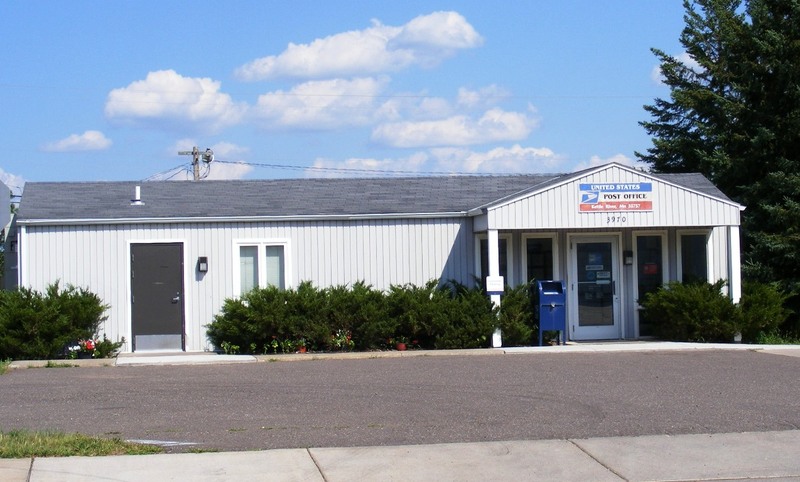 Its post office was established in 1910, with Joseph Winquist postmaster in his general store; it absorbed the Kalevala post office in 1913. 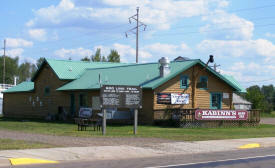 The store was destroyed in the 1918 forest fire. 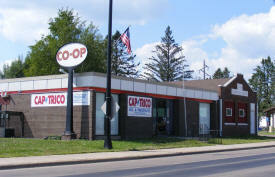 The city had a station of the Great Northern and Soo Line Railroads. The Kettle River area of Carlton County Minnesota, was settled by a large concentration of Finnish Immigrants in the years leading up to the First World War and the influence of those immigrants is still noticeable even today. On October 12, 1918, a forest fire caused by sparks on the local railroads left much of western Carlton County area devastated. Several hundred persons killed by the fire and thousands more left homeless. The only building left standing in Kettle River following the fire was the bank that was made of brick. 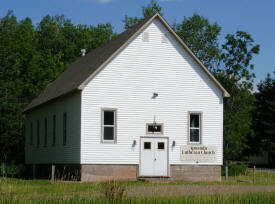 This building still stands in Kettle River, near the center of the town on the west side of Minnesota Highway 73. 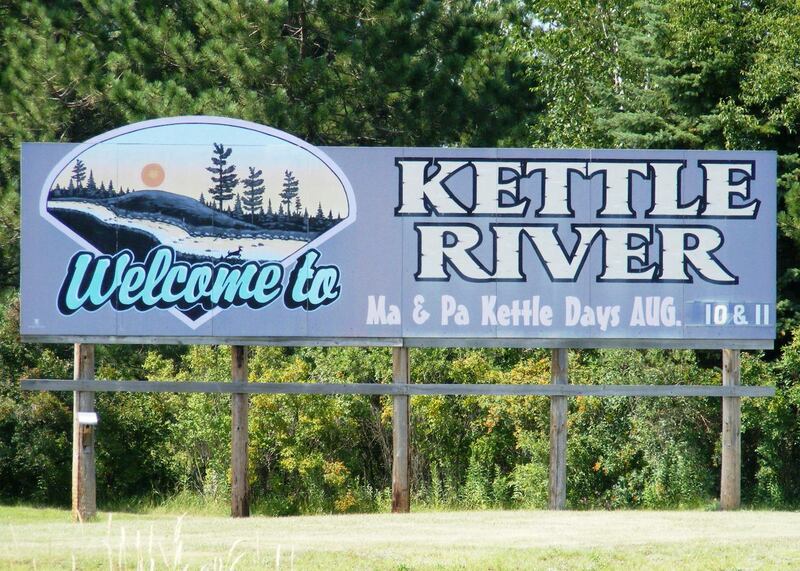 The Kettle River is one of the best white water rivers in the Midwest. 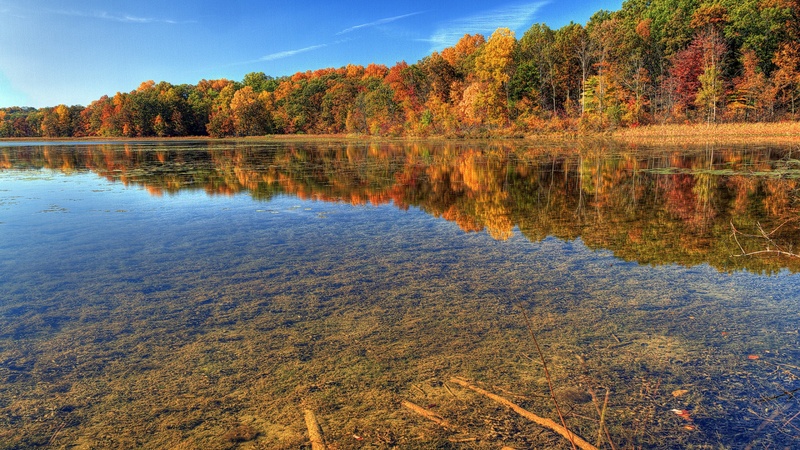 It is bounded by a heavy forest of black spruce, fir, birch, aspen, maple, ash, and elm, with scattered red, white, and jack pines. 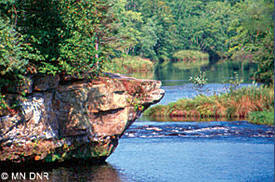 The Kettle is designated as a wild and scenic river. Most of the rapids on this river are Class I during low water, with some stretches reaching II or III in high water. The Banning Rapids area ranges in difficulty from Class II-IV at all water levels. 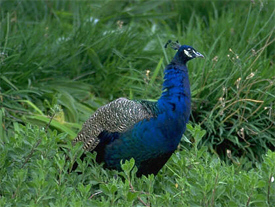 The width varies from 30-250 feet. Established in 1904, Butkiewicz Family Farm is located in Split Rock Township; a rural area rich in farming heritage west of the small town of Kettle River in northern Minnesota. 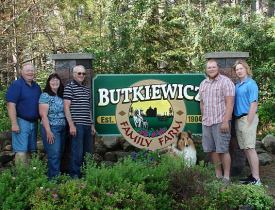 The Butkiewicz Family is proud to carry on the tradition of farming for five generations. 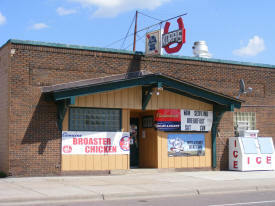 Through the years we have had an opportunity to raise a variety of Minnesota Grown crops and animals. Butkiewicz Family Farm Jams, Jellies, Syrups and Sauces are now available retail at Wyndtree Lakeside Traders in Moose Lake. 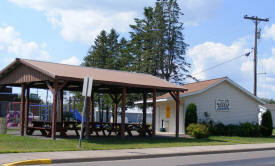 Whether it's a gift for someone or a treat for yourself Butkiewicz Family Farm products are a quality choice. 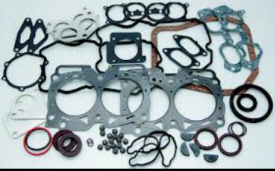 Since 1982, Carver Industrial Products has been producing custom die-cut gaskets. Whether the order is large or small, we welcome the opportunity to work with you. Regardless of the quantity ordered, we take pride in manufacturing accurate parts to meet our customer's specifications, ensuring on time delivery with friendly customer service. 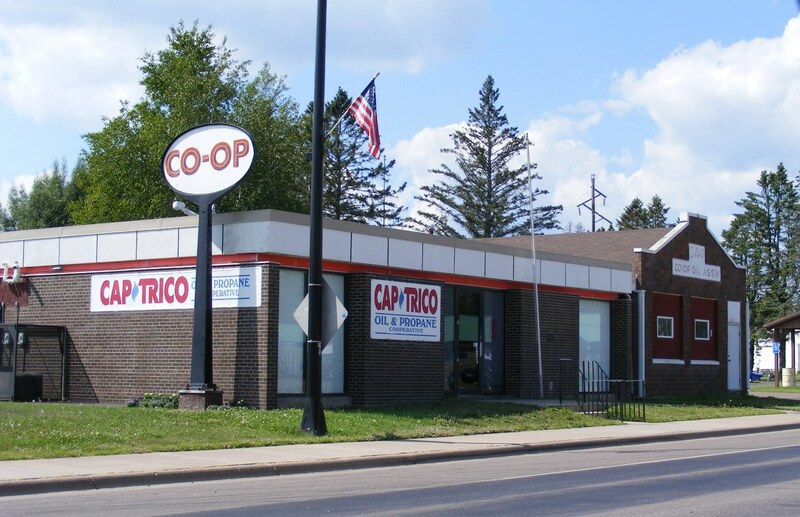 Lake Country Power is a Touchstone Energy® Cooperative serving parts of eight counties in Aitkin, Carlton, Cass, Itasca, Koochiching, Lake, Pine and St. Louis. We provide electricity and other energy related services to nearly 43,000 members in the rural parts of northern Minnesota. We maintain more than 8,200 miles of distribution lines within 10,872 square miles of service territory. 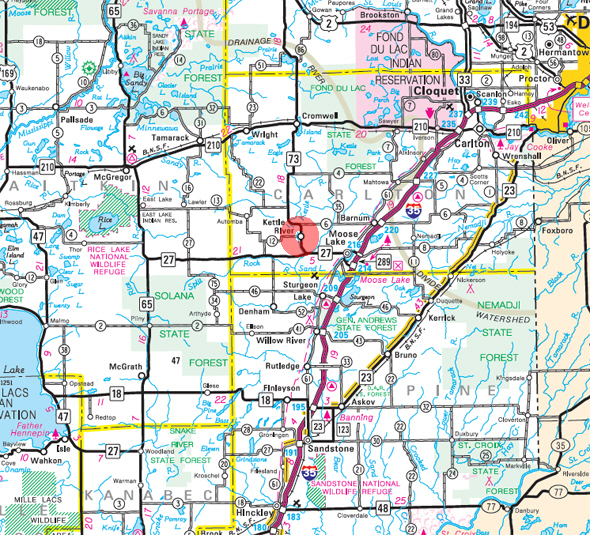 Geographically, we are Minnesota’s largest electric cooperative.